Created by the seasoned developers from Frontier Developments – a studio known for creating the RollerCoaster Tycoon series) – Jurassic World: Evolution is an economic strategy game set in the universe of the Jurassic Park franchise. 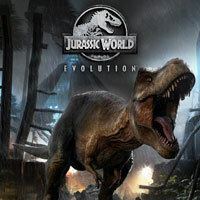 Jurassic World: Evolution is an economy strategy game developed by Frontier Developments – a studio established by Chris Sawyer, known for creating the popular Elite: Dangerous and the RollerCoaster Tycoon series. Similarly to other games developed by this studio, Jurassic World: Evolution is, among other platforms, available on PC, PS4 and XONE. The game described herein is set in the universe created for the movie series titles Jurassic Park and Jurassic World. The action of the game takes players to a near future, in which human scientists managed to develop a technology allowing them to recreate the DNA of prehistoric reptiles from the preserved samples and bring them back to life. This has resulted in the creation of the titular Jurassic World – a peculiar zoo, in which the visitors can see the prehistoric reptiles with their own eyes. In the PC, PS4 and XONE release of Jurassic World: Evolution, a player assumes the role of a manager of an amusement park and is tasked with creating and exhibiting new species of the reptiles as well as taking care of the entire park’s infrastructure and a number of additional attractions – like a gift shop. Also important is the aspect of visitors’ security – during the game, one has to pay attention to the reptiles within the park, as they can escape their enclosures and pose a serious threat to all the humans in the vicinity. As all of the mentioned above activities generate costs, the actions a player takes have to be aimed at increasing the venture’s profitability. All the acquired financial resources can be invested in the development of the park – in order to keep the visitors interested, it is necessary to create new species of the prehistoric reptiles and erect suitable enclosures for them. Jurassic World: Evolution delivers high-quality 3D visuals. The developers have put a lot of their effort into polishing the dinosaurs’ models. Also, a player is bound to appreciate the detailed surroundings. Jurassic World Evolution game guide is a meticulously prepared set of tips that will allow you to successfully build a Jurassic Park of your dreams. You will learn here the basics of gameplay, interface handling, and how to care and choose a dinosaurs!